Quoting the legendary British politician Winston Churchill, “Courage is going from failure to failure without losing enthusiasm” is personified in the resurgence of the Passion Group. 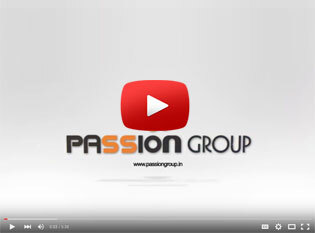 The Passion Group is the fruit reaped from years of hard work, honesty and sheer grit and determination displayed by the owner Mr Sandeep Kansal, accompanied by his able brother Mr Prashant Kansal. The Passion Group is an amalgamation of several small and medium scale businesses which the owners envisaged. Started as a sub broker, the Group did have their humble beginning and initial hardships. They were initially not a direct trading member to the stock exchange but an intermediary i.e. working on behalf of a trading member or as a support consultant to investors dealing in securities. Given the fact that such businesses run on people’s money, TRUST is a non-negotiable instrument. There are no short cuts to success in this field. However, the Group was instrumental in displaying honesty and integrity to all its customers and other regulatory stakeholders and owing to this, today it can boast of being one of the leading stock broking companies in the country. With clientele strength of more than 50,000, it has a viral presence with offices functional all across the length and breadth of the country. The Group is one of the top stock brokers with expertise in stock market trading in Bombay Stock Exchange (BSE), National Stock Exchange (NSE). They are also veterans of the commodity market with adeptness in commodities trading and Multi Commodity Exchange. The USP (Unique Selling Proposition) of the Group is that they do not treat customers as mere sources of revenue generators. Customers are treated as strategic business partners where in the Group would use their rich experience and in depth market analysis to help customers grow their net worth and in doing so, in turn would grow inorganically to being one of the powerhouses in the stock trading domain in India. Customers are free to trade in stocks, derivatives, commodities, mutual funds, bonds and IPOs. In case they seek any expert guidance or consultancy, the Group has a dedicated research department with extremely qualified and adept subject matter experts who deal with clients on a one on one basis and provides practical and profitable solutions to them. 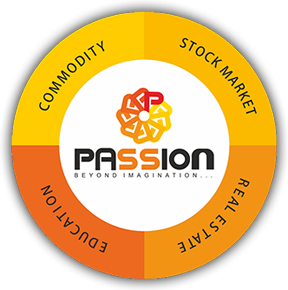 This initiative is instrumental in raising the value chain – the Passion Group is not only a fully fledged broker but also a stock market advisor to customers providing the best stock and commodity tips based on their investment appetite. 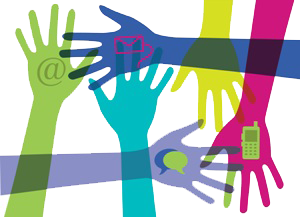 The Passion Group has customized features and offerings, catering to the needs and wants of a wide range of customers. Be a trader, an amateur to the stock market or an active investor, the Group has personified solutions for each one of them which would ensure a streamline flow of fund on behalf of the customers. The Group enables customers to open a free trading account and buy and sell stocks. They provide one of the best online trading accounts with low brokerage fees. The results validate the excellent performance of the Group. The services have been rated 4.6 on a scale of 5, and the Group has experienced inorganic growth of 400%, 550% and 1100% in the years 2013, 2014 and 2015 respectively. The owner and senior management of the Group have dedicated this success to the hard work and integrity of each and every employee.